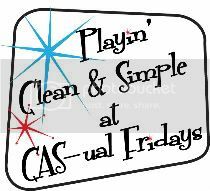 This card is for the latest A muse Lounge challenge - a sketch challenge (this one is Lexi's) as well as for the weekly CAS challenge on Splitcoaststampers - an inspiration challenge based on this. To make my own birthday wreath, I grabbed all my A muse tiny birthday stamps so that I could colour them in brights like the photo. Then I took my circle nesties and used them to trace 3 different sized circles. 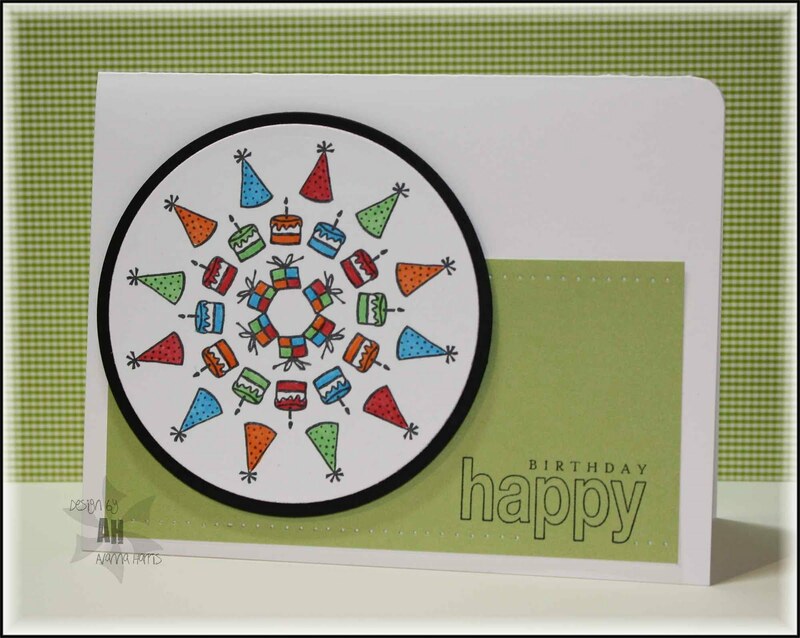 Using my stampamajig for perfect placement, I stamped the images around the circles. The main circle is quite a bit bigger than in the sketch and I switched the image/sentiment around, but I think it still works. Hope you like it! 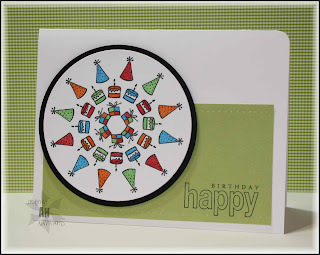 Love this card...great use of your tiny A Muse stamps!